Supermodel Miranda Kerr has made adorable celebrity news with her viral engagement announcement. The 33-year-old bombshell posted her creative announcement to Instagram on July 20, which showed off her engagement ring and an animated image of her accepting the proposal. The photo went along with the caption, “I said yes!! !” So who is the lucky man Kerr will be marrying? It’s none other than Snapchat CEO Evan Spiegel, who Kerr has been a celebrity couple with for a year now. According to sources from EOnline.com, Kerr and Spiegel were smitten with each other from the start. “They’ve fallen hard for each other and are really in love,” said one insider. This will be Kerr’s second celebrity wedding, but a first for Spiegel. 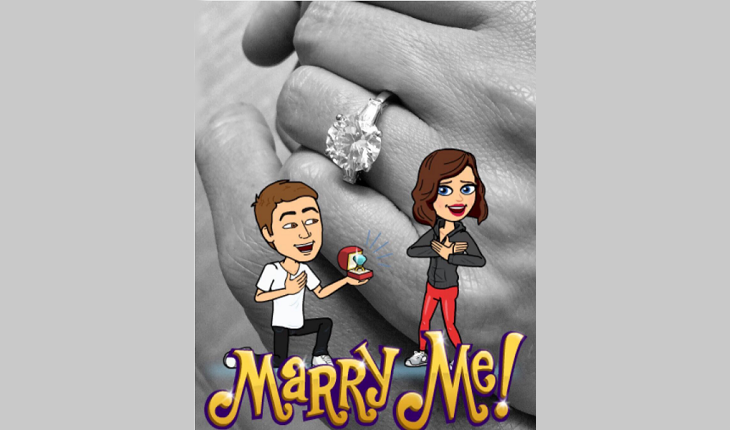 Perhaps this time around we’ll be able to see a celebrity wedding live streamed from Snapchat! Fingers crossed. There’s another celebrity wedding in the works! What are some creative ways to announce your engagement to family and friends? 1. Get crafty: If you really want to exercise your creative muscle, you can make your own engagement announcement to share with everyone. Break out the construction paper and glitter, or make a photo collage that creates a timeline of your relationship. Do whatever craft you like best. No matter which you pick, everyone will see the love and care you put into your announcement. 2. Spread the news: This option isn’t done as often as it used to be, but newspapers are a great way to share details on special events. Announcing your engagement through a newspaper is a nice way to inform the distant acquaintances in your life. This is a charming way to include colleagues, old classmates and even strangers on your special day. 3. Have a party: Everyone loves a good party. Hosting an engagement party is a fun way to get your friends, family and anyone else you hold dear involved. Having your loved ones all in one place will be a memorable experience that you can hold dear aside from your actual wedding day. How did you announce your engagement? Tell us in the comment section below.